Steven Spielberg's film Lincoln was one of his most acclaimed films, in large part due to the magnificent screenplay by Tony Kushner, based in part on the book Team of Rivals: The Political Genius of Abraham Lincoln by Doris Kearns Goodwin. The film focuses on President Lincolnâ€™s tumultuous final months in office, as he pursues a course of action to end the Civil War, unite the country, and abolish slavery. 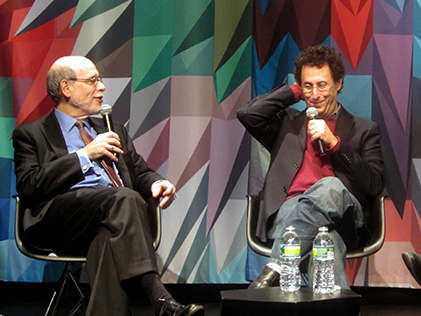 Museum of the Moving Image presented a special screening of Lincoln followed by a conversation with screenwriter and playwright Kushner (Angels in America, Munich) and with the noted Lincoln scholar Harold Holzer, author of the official film companion book Lincoln: How Abraham Lincoln Ended Slavery in America.